The indie hit is coming soon to the Wii U. The indie hit Gone Home will be coming to the Wii U eShop in the fourth quarter of 2014. This is what Nintendo of America said at an Unite 2014 presentation and also confirmed it in a press release on Friday. More posters and figurines to find wall and shelf space for. Several pre-order bonuses for Pokémon Omega Ruby and Alpha Sapphire have been announced for the different regions. Europe still without an exact date. Nintendo has announced that Bayonetta 2 will finally see release in North America on October 24. Nintendo didn't completely turn to the dark side. All of the previously announced Hyrule Warriors DLC will eventually be sold in the Nintendo eShop, including all retailer and Club Nintendo exclusive DLC. While there was no specific pricing revealed today, we were told further information would be announced in the future. Now your 3DS, case AND home menu can match! New custom themes for the 3DS home menu will be coming in a new update set to arrive this October. These themes will be available for purchase in a new Themes Store, which will be added to the eShop menu. The pair of new 3DS eShop games are based on the mini-games in Kirby: Triple Deluxe. Kirby Fighters Deluxe and Dedede's Drum Dash Deluxe are out now on the 3DS eShop in North America for $6.99 each. Ultimate NES Remix will feature online leaderboards and much more. Ultimate NES Remix, a new entry in the Wii U series NES Remix, is coming to 3DS in North America on December 5 and Europe on November 7. Additionally, the NES Remix Pack on Wii U is coming out the same day in North America. It's a physical CD baby. Club Nintendo members who register both the upcoming 3DS & Wii U versions of Super Smash Bros. will be sent a physical soundtrack for the games. The beloved Wii RPG is coming exclusively to the new and more powerful 3DS models. 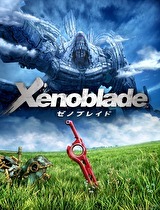 A remake of Xenoblade Chronicles is coming to the New Nintendo 3DS models, announced this morning. The first dozen amiibo figures have been revealed. 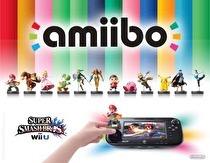 The first dozen amiibo figurines have been detailed for pre-order. New 3DS and 3DS LL models are coming to Japan in October. Nintendo has announced two new 3DS models are coming to Japan this October. There's no objection to investigative crossovers in this week's Downloads! Summer is pretty much over now, so that’s bound to mean that the Download is ready to come back to life, right? Vital signs seems to indicate there is indeed improvement. 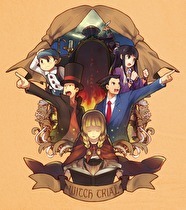 The biggest crossover since Sonic and Mario went to the Olympics leads this week in the Download as Professor Layton and Phoenix Wright team up for what is sure to be quite the investigative adventure. Does your team lack that all important glow-in-the-dark quality? Players who pre-order Sonic Boom: Rise of Lyric through Amazon will receive exclusive luminous costumes for Sonic’s team. Upon receiving the game, Amazon will provide a code to gamers so they can download the new look for Sonic, Tails, Amy and Knuckles. If you’ve already pre-ordered the game through the retailer’s website, the offer is still valid. Miyamoto may be upending the casual tea table. Shigeru Miyamoto commented on an intention for Nintendo to shift their focus away from casual gaming in an interview with Edge Magazine. WayForward's crowd-funded platformer has reached $900K. Shantae: Half-Genie Hero has reached its fifth stretch goal, in which an additional story mode will be added for each of three previously-NPC characters, Sky, Bolo and Rottytops. Each character will have their own reason for embarking on a quest across Sequin Land and will play slightly differently to the other characters. Nintendo expands their online digital presence. The Japanese arm of Amazon has started to sell Wii U and Nintendo 3DS Digital download codes. Previously, digital copies or codes of titles could only be purchased though the eShop or at brick and mortar stores (via special prepaid cards) throughout the country. Titles available are not just limited to digital versions of retail titles, as download exclusive titles are also available to purchase. 16 new courses are also coming our way. Two new packs of DLC are coming to Mario Kart 8, as announced by Nintendo of Europe's official online store. Both packs will include three new characters, four new karts, and eight new courses. The first details, and English trailer, for a Pokémon collaboration we knew was in the works. Pokkén Tournament, a collaboration between The Pokémon Company and Bandai Namco, was officially announced today. Pokkén Tournament will be a Tekken-style fighting game starring Pokémon characters. The new game will first be released in Japanese arcades in 2015. While no Western release has been confirmed, The Pokémon Company did release an English trailer hinting that the title may see the light of day outside of Japan. Plus the mighty Onion Knight returns! A limited edition bundle of Final Fantasy Explorers for the Nintendo 3DS will be available in Japan through Square Enix’s online store. Priced at 14,040 yen, the bundle will include the Final Fantasy Explorers for 3DS, a soundtrack titled “Final Fantasy Explorers Suppin Tracks," an art book, a cover featuring Bahamut for a 3DS XL and a faux leather carrying case. A number of videos appear to confirm last week's major leak. Several characters new and old might be joining the fight in Super Smash Bros. for Wii U and 3DS if a leak that started circulating last week is accurate. The newcomers that are a part of the leak are Shulk (from Xenoblade), Bowser Jr., Dark Pit, the Duck Hunt Dog, and — returning from Melee — Dr. Mario.